REGAL "CHOCOLATE" WITH CROC "MINK", GOLD TACKS AND LINEN ON ASH LEGS. Sizzling starlet by day and mentally unstable mother by night, Joan Crawford effortlessly captured audiences with her elegant sophistication. 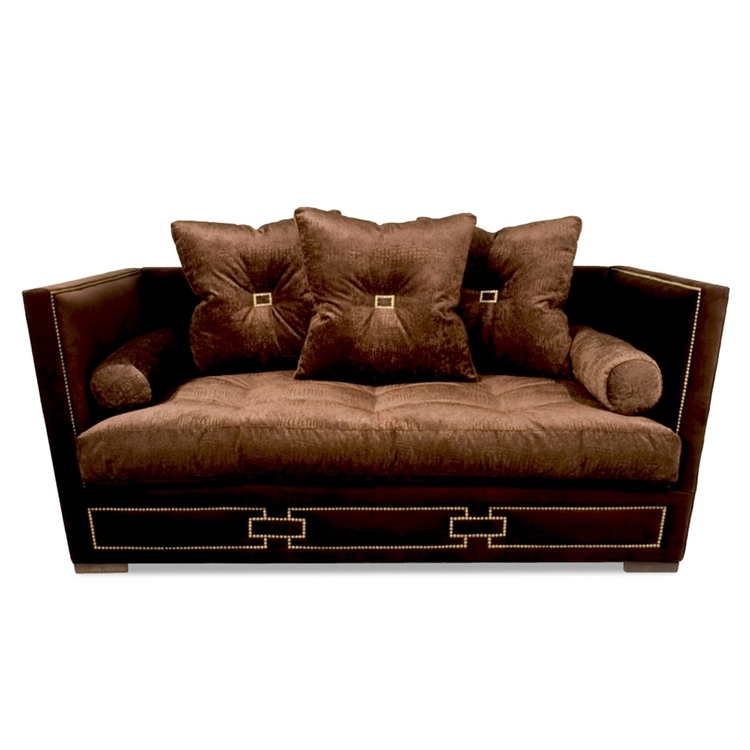 Like Crawford, this two-toned Blake Sofa has split personalities. The structured frame and clean lines contrast the mass of overlapping pillows. Item sold as shown online. Sofa comes with foam filled seat cushion, (3) down fill back cushions, and (2) bolster pillows. Email info@hautehousehome.com or call 323.256.2800 for custom options.